Some thoughts on predicting the future…should we do it? Can we (with reliable accuracy)? A large majority of astrologers predicted a Hillary Clinton win in the 2016 USA election. She DID win the popular vote, by a majority of 1.4 million according to the most recent reliable estimates. But Trump secured the Presidency, thanks to the Electoral College results. So – were the astrologers’ predictions of a Clinton win right, or were they wrong? Mulling over this conundrum, I thought it might be of interest to repost an article I wrote some years ago on the topic of prediction. Let me know what YOU think! The question of whether it is possible to foretell the future is one which has preoccupied humans ever since we evolved into self-conscious beings and began to conceptualise past, present, and future — now thought to be around 80,000 years ago. Prediction has been around for a long time. Economists do it. Weather forecasters do it. Politicians do it. Physicists do it. Futurologists do it. Most of the foregoing predictors direct scorn and derision at the people who have done it for longer than anyone else: astrologers. There is several thousand years’ worth of recorded empirical evidence — much of it stored on clay tablets, as yet undeciphered, in the basements of museums across the world — demonstrating that the movements of the planets in our solar system correlate with particular shifts in “the affairs of men” (Shakespeare’s term, not mine!). 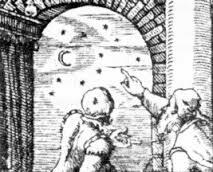 This empirical observation continues into the present day in the consulting rooms of astrologers across the world. For example, a number of politicians and economists consult astrologers regularly. They are mostly unwilling to admit it, though we astrologers know who they are! Both astrologers and astronomers, via planetary observation, can look at and correctly plot the unfolding pattern of energies through space-time. After that, astrologers step into a different realm than that of observation of the external, material, planetary world. By looking at a section of any points or moments of the past, present, or future via a horoscope, they can examine the essence of that moment in terms of its meaning, and speculate with moderate accuracy about what some of the branches manifesting in the wider world, or in individuals’ lives, may be. What they can’t do is to see exactly, and with consistency, how those branches are going to manifest. Historically, our track record on hindsight is much better than it is on foresight! There have been some spectacularly accurate predictions made by astrologers in the public realm over the centuries; a famous one was made by Luc Gauricus in 1555 to the effect that King Henry II of France (then aged thirty-seven) was in danger of death in his forty-second year, by a head injury incurred in single combat in an enclosed space. And five years later Henry duly died of a lance splinter which entered his eyes and pierced his brain. There have also been some spectacular failures, e.g., to predict that the Munich agreement of 1938 would lead to World War II. We do much better at describing the essence of a pattern, but identifying the exact branches is much more hit and miss. Personally this cheers me, since it appears to suggest a creative balance between fate and free will in the universe; chaos theory in contemporary physics also has strong parallels with the astrological paradigm. Both the language of astrology and the language of quantum physics tells us that not everything is pinned down. Indeed, a view and a model are slowly emerging, despite considerable resistance from the diehard defenders of reductionism, which can demonstrate convincingly that the lenses of astrology and quantum physics are focusing on the same underlying, all encompassing Reality. The perspectives offered by contemporary writers, astrologers, depth psychologists, and scientists, such as Richard Tarnas, Liz Greene, the late Charles Harvey, Stanislav Grof, Brian Swimme, Rupert Sheldrake, and others — including recent books by astrologers Armand Diaz, Kieron Le Grice and Bernadette Brady — have been of inestimable value to me. I urge any readers of this blog who are keen to expand their own perspectives to explore their work. My view, based on my personal experiences and those of clients and students over 30 years, as well as extensive reading and study, is that the key dimension in determining how a particular planetary pattern will play out in a person’s life is the level of consciousness at which they are operating at the time the inevitable challenges of life come their way. 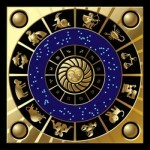 Most astrologers have had the humbling experience of looking at the horoscope of a client which looks so difficult that the impending consultation feels very stressful, but upon encountering the client, they meet someone who has faced, dealt with, and grown through hard experiences that would have flattened a less aware person. We can never predict the level of awareness of a client we have never met, although we can have a pretty good idea that, e.g., Mars conjunct Saturn conjunct Pluto square the Moon is going to be no walk in the park. I am personally very hesitant about both the accuracy and the wisdom of predicting at all, especially for individuals, in any more than a “describing the core and speculating about the branches” kind of way. Predicting that a specific branch will manifest may well close down possibilities rather than open them up, which also takes us into the realm of self-fulfilling prophecy. For example, when Uranus was about to cross my Pisces Descendant in 2005, beginning its seven or so years’ traverse of my 7th house, I became concerned about what this might mean for my marriage. The rather problematic implications of Uranus’ impact on the relationship realm that practising astrologers see every day in their students’ and clients’ lives, as well as their own, worried me. However, a profound, totally unexpected spiritual experience on my husband’s part linked both our spiritual journeys into walking the same path at the same time. This has had a supportive, deepening effect on our marriage and not one I could possibly have envisaged before Uranus crossed my Descendant. Having just made what I hope is a coherent case for specific prediction being a practice of dubious merit and only intermittent accuracy, here is my own striking experience of being on the receiving end of a specific prediction I never asked for, at a time when I was a typical astrology dismisser, i.e, I considered that astrology was rubbish without ever having taken the trouble to study it. Bath, Somerset, England, June 1974: I was engrossed in the Sunday evening chore of doing washing in the launderette on the London Road, near where I lived. It was a liminal time in my life. After having resigned from a lecturing job, I was preparing to leave Bath. A return to the Outer Hebrides was imminent. A strange looking couple came in, accompanied by a little girl of about five years old. The woman was tall, slender, with long dark hair, a very scruffy Afghan coat, and a distinct look of Cher (of Sonny and Cher fame). The man was smaller than her, slight, with unruly greying hair and a mischievous face. Twenty minutes later, I was sitting in their cramped basement kitchen, drinking tea, and being charmed by Seamus. His combination of erudition, intensity, conviction, humour, and blarney was irresistible. An unsuspecting client . . .
“Because I am going to draw up your horoscope”, he replied. Whether I wanted such a procedure embarked upon or not was of no consequence to him. So slain was I by his charm that I didn’t offer any resistance. As I watched, interested in spite of myself, Gloria and Seamus assembled a hefty tome, a slim pamphlet, blank sheets of paper, a calculator, a fountain pen, and a newly sharpened pencil. The tome was an ephemeris, they informed me — a list of the planets’ placements everyday at noon for the whole of the 20th century. Seamus took a blank sheet, carefully drawing a circle freehand in its centre. He then proceeded with great rapidity and fluency to insert squiggles — “Planets!” — and numbers around the inner edge of the circle. He then drew lines within a smaller inner circle — “Aspects, or links between the planets at the time you were born.” He and Gloria then sat back, gazing with silent preoccupation at the image they had created. I can still recall very, very clearly what followed. Seamus, looking at his drawing and only briefly at me, gave an astonishingly accurate description of my father’s complex, domineering, idiosyncratic and wayward character. That was bad enough, not least because it reminded me of certain aspects of myself! Worse was to follow. “You are a person rich with creative gifts,” he said. “But you need to know and face more clearly the more difficult facets of your own nature. It’s time to do that, since you are approaching 30 and your Saturn Return.” With that, he forensically summed up those parts of myself which I knew were there, but had tried very hard to avoid facing or admitting to anyone — a very common and human failing that Saturn transits expose and challenge on a cyclic basis throughout our lives. I was feeling by this time as though I’d been hit on the side of the head with a sock full of sand. I was utterly shocked. I had known those people for less than an hour, most of which had been spent walking back from the launderette to their flat and organising cups of tea. They knew nothing about me of any significance. 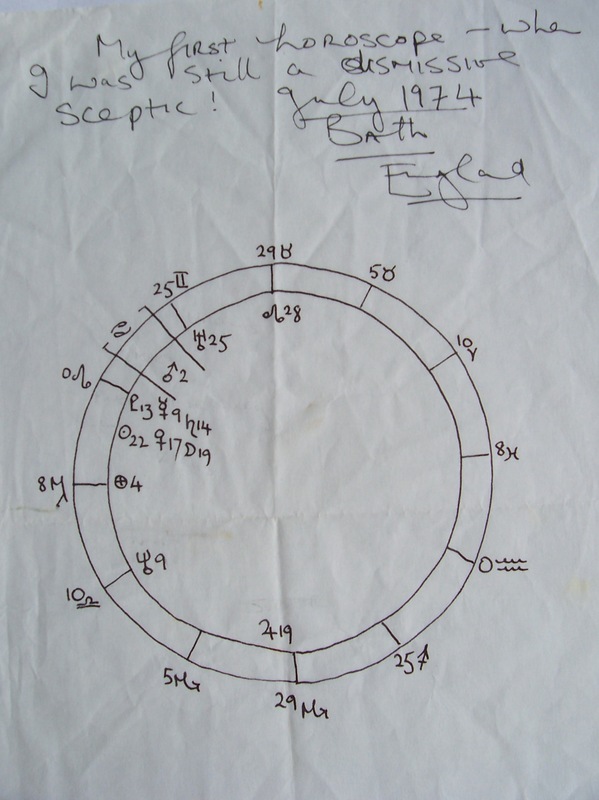 How could they produce such specific and accurate material from marks on a piece of paper? I couldn’t even begin to get my head round the prediction. It seemed beyond absurd. Slowly, I carried my laundry home. There was no way I could find to make sense of the experience I had just had. There was no file inside my head into which it could fit. Seven years later, a friend gave me a copy of Alan Oken’s ‘Complete Astrology’. I had no idea why, but had enough respect for that friend and his opinions to begin reading. About three pages in, I had the strangest sensation of someone pulling me into the book, saying “Come here, you’re for me…” I still have this battered old copy with my signature on it — February 1981. And my transits at the time? The Jupiter-Saturn conjunction in Libra exactly conjunct natal 2nd-house Neptune and exactly sextile natal 11th-house Mercury (my ruling planet); Uranus crossing the natal IC; Neptune beginning a long opposition to the natal 10th-house Uranus-Mars conjunction, and trine to the natal 12th-house Sun; Pluto trine natal Uranus and sextile natal Sun; North Node conjunct natal Mercury. A summons, pretty much . . . In February 1981, that prediction, (which I had never quite forgotten), and the feeling of fascination, compulsion, and exhilaration which Alan Oken’s book triggered in me came together in a way that has profoundly shaped the whole of my subsequent life. It’s good for us all — especially people like me, with seven planets in fixed signs! — to get jolted out of our positions now and then by experiences that don’t fit our frames of reference. Hopefully, the jolt will have the effect of breaking down some of our old defences and letting new experience and new knowledge enter our lives. I re-interpreted Seamus’ prediction in the light of my own subsequent astrological knowledge; it was pretty obvious by then how he had got there, as was the timing of it. I still think about the encounter with him, his child, and partner over 40 years later. Did his prediction, at some subliminal level, point my life in a direction that it would not otherwise have gone? I will never know. But I do know, as a result of our encounter, that whatever my reservations are about the wisdom of offering such specific outcomes to people, astrologers sometimes have the power to do just that. Whether they should do it is another issue altogether! “Enthused, Croesus attacked, and indeed a great kingdom fell – his own. I take that story as a reminder that there is always something mysterious and unknowable, a trickster’s play, running through the Cosmos,” Diaz said. Astrologers are always being asked questions. By open-minded members of the public. By closed-minded-members of the public. By one’s friends and family. By clients. By students. By interviewers for various media outlets. I set up this blog in June 2013 ( can it REALLY be that long ago?! ) and thought it might be a good idea – whilst I am recovering from having been flattened by truly the worst flu I can ever remember – to repost the very first post, slightly edited and updated to reflect contemporary events. Would it be fair, then, to say that astrology is descriptive rather than predictive? It occurs to me that much of the fascination with newspaper ‘astrology’ columns is related to their use as fortune-telling! ……from Linda Leinen, USA…….and my favourite blogger at the wonderful The Task At Hand. It’s fair to say that astrology is both descriptive and predictive. There are many facets to this statement. However, just a few examples should throw at least some light on Linda’s interesting question. A properly drawn up horoscope using your date, place, and time of birth can allow me to provide you with a clear description of the characters who are acting out the play of your particular life, to use a familiar but useful analogy.The Sun represents only one character, thereby revealing right away how limited popular Sun Sign astrology is. The other characters are represented by the Moon, Mercury, Venus, Mars, Jupiter, Saturn, Uranus, Neptune and Pluto (recently demoted by astronomers, but remaining very potent symbolically!). 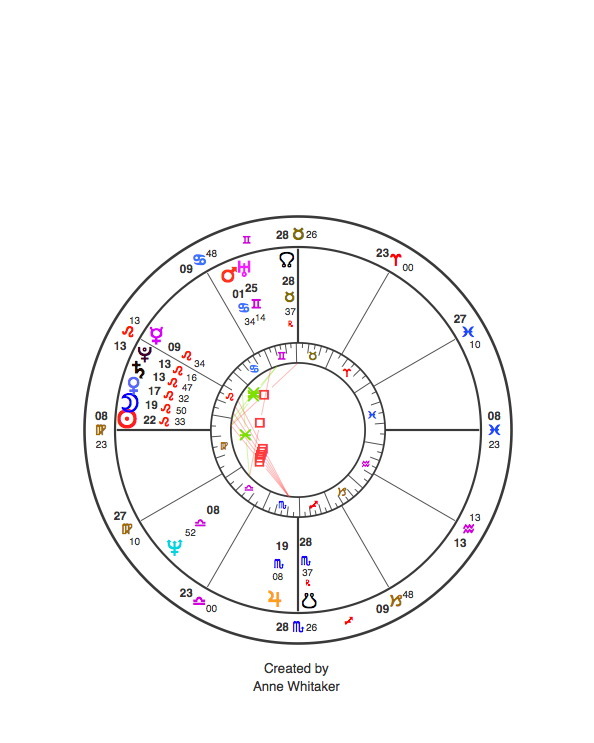 The astronomical relationships between the nine planets plus the moon, when drawn onto the horoscope (see picture below – click on the image to enlarge) show the conversations, debates, disagreements and compromises happening between the major characters on your life’s stage. Their action takes place against the backdrop of the twelve Houses of the horoscope, each representing a particular sphere of life. Then I have to take the Ascendant (how you appear to the world) the Midheaven (speaking of vocation/life direction) and several other factors including Chiron (where both wounding and healing take place)) into account. In addition, I need to consider and feed back what the interactions between all those factors are. Reading a horoscope effectively needs both an experienced, self aware, sensitive astrologer and a client who truly wishes to reflect on their gifts, pains, preoccupations, fears, motivations etc in an honest and open way. A horoscope can be seen as the static drawing of a pattern of living energy ie a human being. Thus, as an astrologer, I am working with explaining and discussing a number of different levels of manifestation which can and do arise from each symbol. Your birth horoscope is determined by your date, place and time of birth – factors over which we apparently have no control. This can be seen as the fated dimension. But what you do with those energies depends, to a considerable degree, on the levels of self awareness you bring to the choices you make as life unfolds. Therein free will probably lies…. However – you really have to experience a quality astrology reading fully to understand its power and value. Yes, any competent astrologer can predict very accurately when planetary influences from the unfolding energies through time and space, both in the present and in the future, are going to engage with the energy patterns which can be read from a birth horoscope. S/he can also plot out with complete accuracy how long this engagement is going to last; anything from a few days to several years. But one can only speculate about the level of manifestation of those energies…. A simplified example: Venus in your natal horoscope represents relationship(s). The planet Uranus represents the urge to break down old patterns and is unpredictable, disruptive in its impact. If this planet is going to be exactly engaging with your natal Venus, eg for the whole of 2017, then I think you can work out without me telling you that this will not be the most peaceful uneventful year in your relationship life! I can in this way predict the core of Uranus’ (or any planet’s) impact on any part of a client’s horoscope.Working out what the branches of manifestation arising from that core might be, however, is not something which can be done exactly. Of a few guesses, one might be accurate. Then there is the danger to the client that if I choose a specific branch which I think might manifest, this could well collapse a whole range of possible outcomes into one only. In this way, I as the astrologer may be helping self-fulfilling prophecy along the way. Personally, I think it is sufficient to describe the core manifestation of a planet’s impact, and work with the person regarding what they will do with this information. A concluding observation on prediction. It is an inexact pursuit for all who attempt it, from economists through weather forecasters through astrologers. The latter failed to spot that World War Two was about to break out, for example, although there are many examples of astrologers delivering exactly the right level at which energies would manifest (ask google about this, especially the famous prediction about the death of Henry the Second of France….). Also, in the recent USA election, astrologers’ predictions regarding whether Hillary Clinton or Donald Trump would become president, were both right AND wrong. Most predicted that Mrs Clinton would win, and were correct since she won the popular vote by around 3 million votes. However, Trump got the Presidency – because he won via the Electoral College system by which Americans elect their president. Science teaches us that we live in a universe which conducts a great dance between order and chaos, where probability and indeterminacy, not exactitude, are the order of the day. I like that! There is a great deal more that can be said. But I hope this is sufficient to give my readers a thought-provoking introduction – and to stimulate more astrological questions on any aspect of astrology. Prediction post-mortems have abounded throughout all media in the wake of the shock result of the USA election which will see Donald Trump inaugurated as 45th President in January 2017. A large majority of astrologers predicted a Hillary Clinton win. She DID win the popular vote, by a majority of 1.4 million according to the most recent reliable estimates. But Trump secured the Presidency, thanks to the Electoral College results. So – were the astrologers’ predictions of a Clinton win right, or were they wrong? A challenging question: can we predict the future? And should we? Read my musings on prediction, including a stunningly accurate one I was given when I neither invited nor wanted such a thing, on this week’s Mountain Astrologer Blog.